‘[Stoner] felt himself at last beginning to be a teacher, which was simply a man to whom his book is true, to whom is given a dignity of art that has little to do with his foolishness or weakness or inadequacy as a man. It was a knowledge of which he could not speak, but one which changed him, once he had it, so that no-one could mistake its presence.’ A lot has been written about this fine novel, and most of the praise has been well deserved. I was moved by this account of a life which on the face of it has not been a success: Stoner is an academic who makes no great impact either through his teaching or his writing. His marriage is a failure, more, a kind of hell, and his much loved daughter eventually becomes an alcoholic. Yet in an interview quoted by John Mcgahern in the introduction to the Vintage edition Williams gave he described Stoner as a hero, who had a very good life. ‘The important thing in the novel to me is Stoner’s sense of a job. Teaching is to him a job – a job in the good and honourable sense of the word. His job gave him a particular kind of identity and made him what he was . . . ‘ This is what I find most interesting: so few novels really describe the working lives and yet, as with Stoner, they make us we are. I remember when I first started teaching: I assumed the role, and then the role became part of me. It is always hard to know what impact you have had as a teacher. It can’t be measured just in exam results. When I taught for the Open University it wasn’t always my most successful students who benefitted most on a personal level. Looking back I myself was lucky enough to have two wonderful English teachers in those long ago days at Cleveland Grammar School – Miss Robinson and Mrs Fowle – and they had a profound effect on me, instilling in me a confidence that lasted through university and beyond. There you are, racing towards the suspenseful climax of a crime novel, or maybe you’re enjoying it so much that you’re holding back a little, not wanting it to finish too soon. You gauge how much is left, at least a couple of chapters, time for one more stunning plot twist. But wait, what’s this? You turn a page and it’s the end. No more novel and what you thought was the last chapter is the first chapter of the author’s next novel. I find this so annoying that I have been tempted not to read the next novel out of sheer pique. After all if I like the novel I’ve just read, of course I’ll look for the author’s next one. I thought ebooks might be exempt from this practise, but no, I’ve been caught out there too. And this kind of advertising is counter-productive in another way. Last night I downloaded a sample chapter of a novel because I couldn’t remember if I’d read it or not. I had, and wondered why it was still on my wish-list. 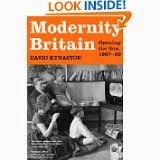 And then I realised, I’d only read the beginning – presumably advertised at the end of an earlier novel. That was nearly a lost sale. I am not using my ereader as much as I did when I first had it. On the whole I do still prefer reading a real book, and tend to keep my ereader for travelling. However there is a very useful feature that I do often use, and that is the chapter-sampling. It is a different experience from being in a book shop where I tend to read just the first page or two and where I also take into account the appearance and feel of a book as a physical object. With chapter-sampling the writer has longer to make their mark, and I am not so influenced by the cover and not at all influenced by the type and the quality of the paper.I have been interested to note how often I download a free chapter and then decide that I don’t want the whole book. Sometimes I wonder if I’ve given the writer enough of a chance, but with crime novels, which is usually what I am looking at, I think it is fair enough. They should grip the reader right from the start. What I am looking for is the kind of writing and the kind of plot that leaves me in no doubt that I have to know what happens next and that is quite rare. I haven’t kept count, but my impression is that I download less than one in four of the books I sample. 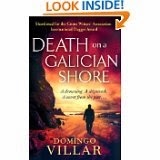 One that I did decide to download and have just finished reading is Death on a Galician Shore by Portugese writer, Domingo Villar. It’s the first crime novel set in Portugal that I have read, and while Villar’s detective, Leo Caldas is no Montalbano, it was an agreeable read. I see that reviewers on Amazon have been generally favourable, but some have commented on the slow pace. I felt that, too, but it did pick up speed towards the end and I very much liked the way the plot was played out.As so often with novels set in foreign countries, part of the charm lies in the description of the food and incidental details of daily life. The murder victim is a fisherman and I enjoyed the way that the fishing community was brought to life, the description of the auction at the fish market and the pictureque coastline. Domingo Villar is a writer to watch. This was the second in the series, I intend to read the first, and I’ll look out for the next. I said a few weeks ago that I was going to use the London Library more – and I have. I’ve blogged about a book I got out recently: The West End Front: The Wartime Secrets of London’s Grand Hotels by Matthew Sweet. And, for my book group reading, there has also been Italio Calvino’s Invisible Cities and The Elephant’s Journey by Portugese writer, José Saramoga. And let me mention here that I am so grateful to my book group for suggesting books that I wouldn’t otherwise have read, these two among them. It stops me getting too lazy as a reader. I often persist with a book that I don’t initially care for, feeling duty bound to finish, and I am almost always glad that I did. Having said that, this is the time of year for comfort reading, and I’ve also got out Miss Read’s Village Diary and Storm in the Village, At Bertram’s Hotel by Agatha Christie, and the latest Ian Rankin. There has also been Adam Gopnik’s book of essays on winter (interesting but not as good as his book on living in Paris) and there are books still waiting to be read: The Buenos Aires Quintet by Manuel Vásquez Montalbán and Conrad’s Tales of Unrest. I think I’ve mentioned in the past that one of the wonderful things about the London Library is that they don’t throw out books just because they are old (or unread for that matter) and it’s thanks to that that I’ve also been sampling the work of a Golden Age crime novelist new to me: Henry Wade. Lonely Magdalen was recommended to me by Martin Edwards who blogs at doyouwriteunderyourownname.blogspot.co.uk and when I’d read it, I couldn’t understand why Wade isn’t better known. Henry Wade was the pseudonym of Sir Henry Lancelot Aubrey-Fletcher, 6th Baronet CVO DSO, (1887 – 1969) and he was a founding member of the Detection Club, so I guess was pretty well known in his day. The premise of Lonely Magdalen is intriguing: a prostitute is found murdered on Hampstead Heath and it turns out that she is from an upper class family and disappeared twenty years ago. How did she come to this and does the clue to her murder lie in her distant past? Both prostitution and alcoholism are treated with a frankness surprising for 1940, the year of publication. 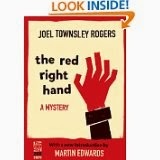 Wade sustains our interest in the investigation by the dogged Inspector Poole with great skill. Wade isn’t mentioned in Julian Symons’s Bloody Murder: From the Detective Story to the Crime Novel, but I think he should have been. The novel reminded me of the work of the US writer, Hilary Waugh, in the way that Wade manages to write about police procedure, dead ends and all, in a gripping way. Waugh is often seen as the father of the police procedural, but his landmark novel, Last Seen Wearing, didn’t appear until 1952, twelve years after Lonely Magdalen. Another lovely thing about the London Library is that books can be posted out. They have plenty of Henry Wade’s that I haven’t read and I’ve just requested another, Heir Presumptive, to be sent to me.